This piece was originally published March 10, 2016 and was last updated March 14, 2018. 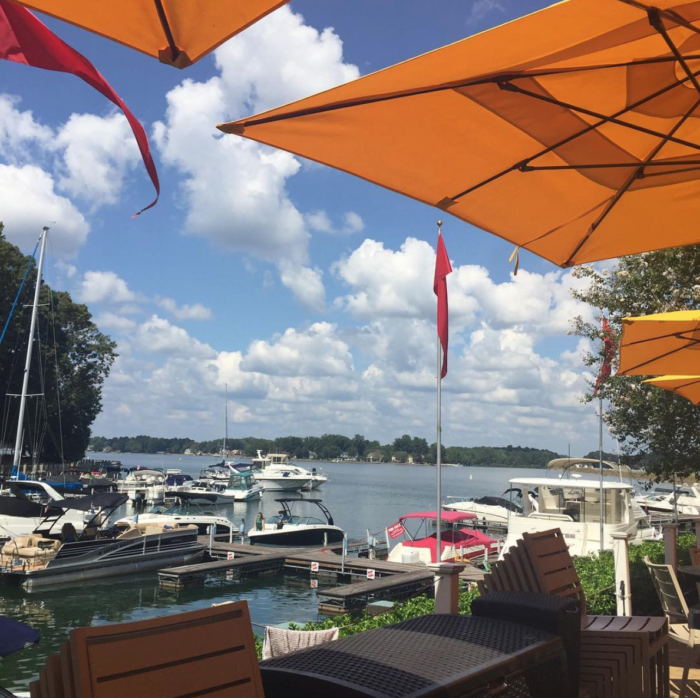 The Catawba River and its manmade reservoirs — including Lake Norman and Lake Wylie — runs down the west side of Charlotte and its surrounding suburbs providing a nearby outdoor escape from urban sprawl. Unfortunately, if you’re not sure where to look, public access to the two big lakes can feel pretty limited due to private residences dominating the shoreline. But that will actually get better over time. Duke’s Catawba-Wateree recreation management plan approved in late 2017 includes 89 public projects that will improve existing recreational facilities or build new ones along the Catawba River and its reservoirs, including projects on Lake Norman and Lake Wylie. The 20-year plan includes proposals for new beaches, boat ramps, fishing piers and more. 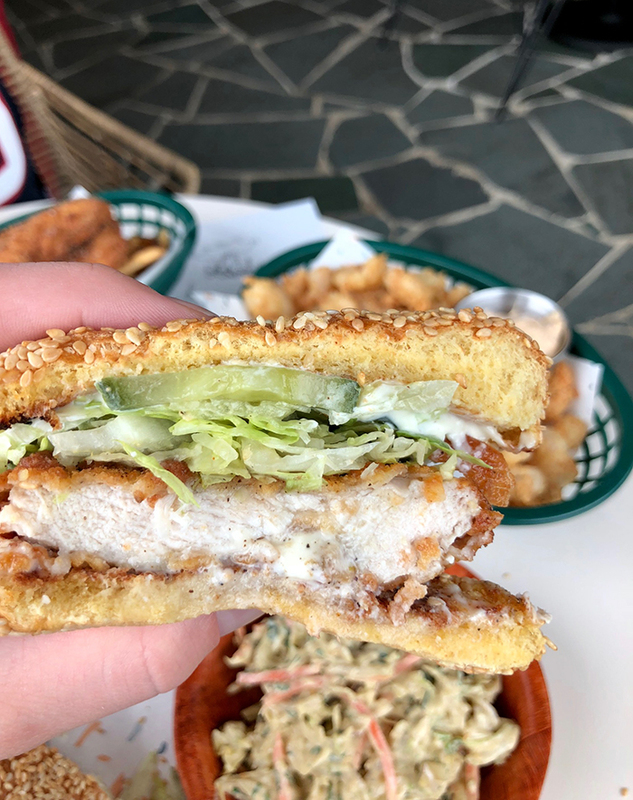 In the meantime, here’s a rundown of what the two biggest lakes closest to Charlotte have to offer now. Red markers indicate boat ramps and/or fishing access (click for specifics). Blue markers indicate swimming access (click to see if boating and/or fishing access also applies in these locations). Yellow markers indicate lakeside restaurants and/or bars. 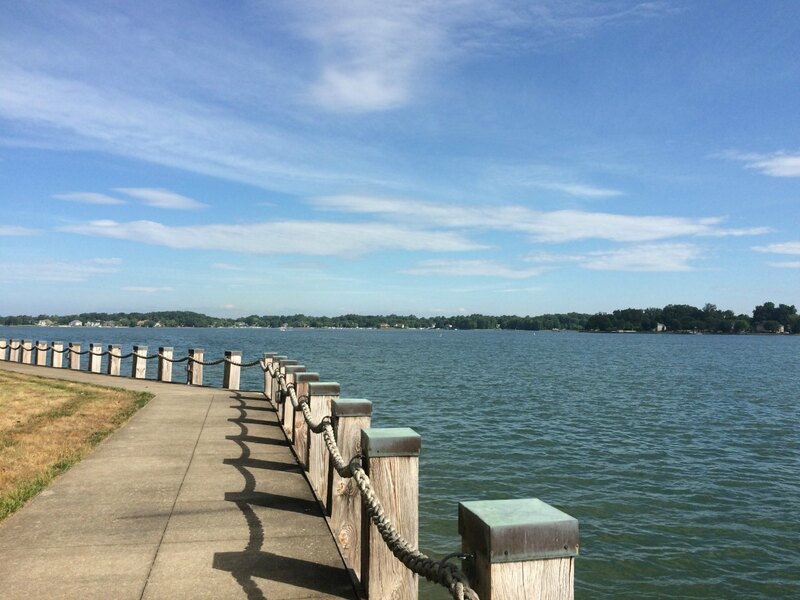 Lake Norman is the largest manmade body of fresh water in North Carolina, created in 1963 with the Cowans Ford Dam on the Catawba River. 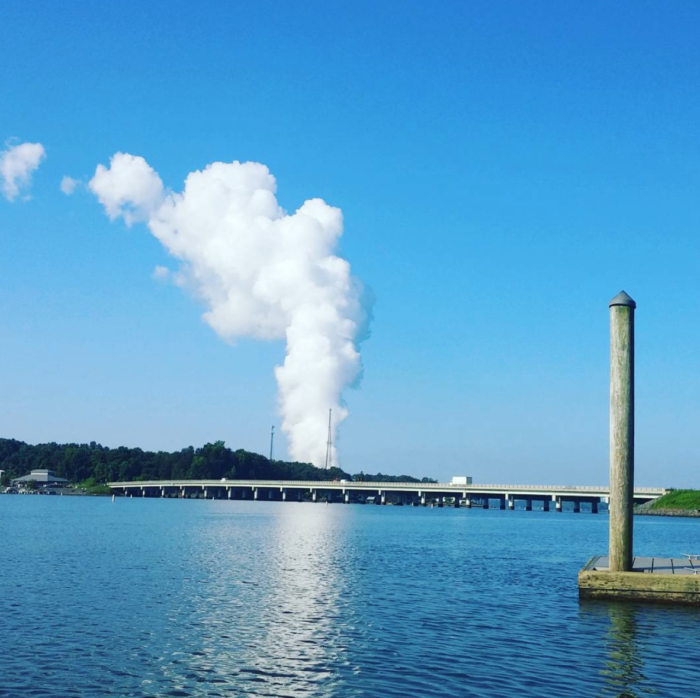 It’s named after former Duke Power president Norman Cocke and supports the McGuire Nuclear Station, Cowans Ford Hydro Station and Marshall Steam Station. Lake Norman totals 32,475 acres (520 miles of shoreline) and is almost as big as the other 10 Catawba River lakes combined. Duke still manages or leases the lake’s access points today and you can download the official access map here. 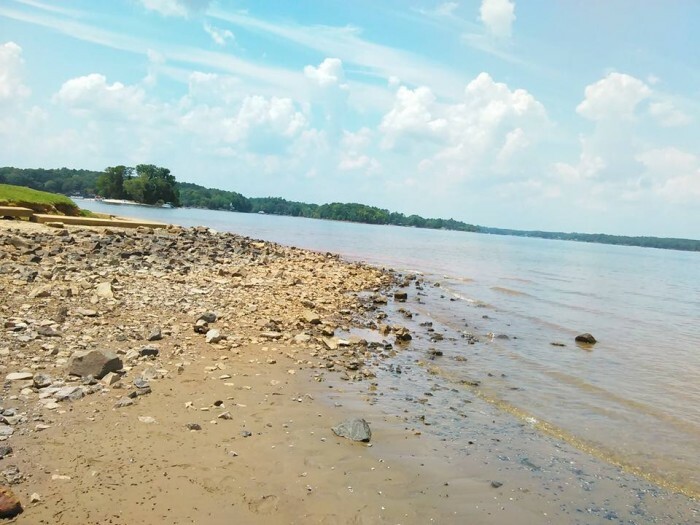 There are currently only two public swimming beaches on Lake Norman — Lake Norman State Park way up on the north side of the lake (about 40 miles from Uptown) and Ramsey Creek Park in Cornelius. 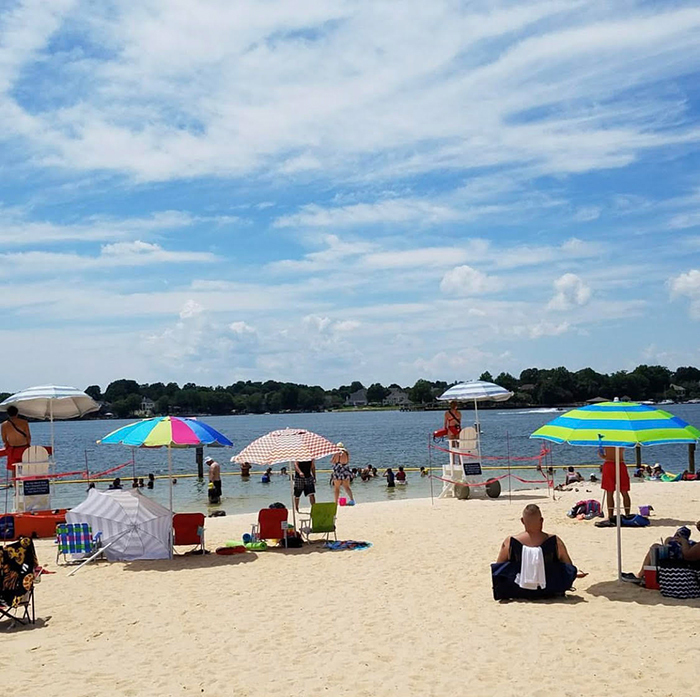 Lake Norman State Park – The 1,934-acre park features a 125-yard sand beach equipped with a concession stand, bathhouse, restrooms and lockers. 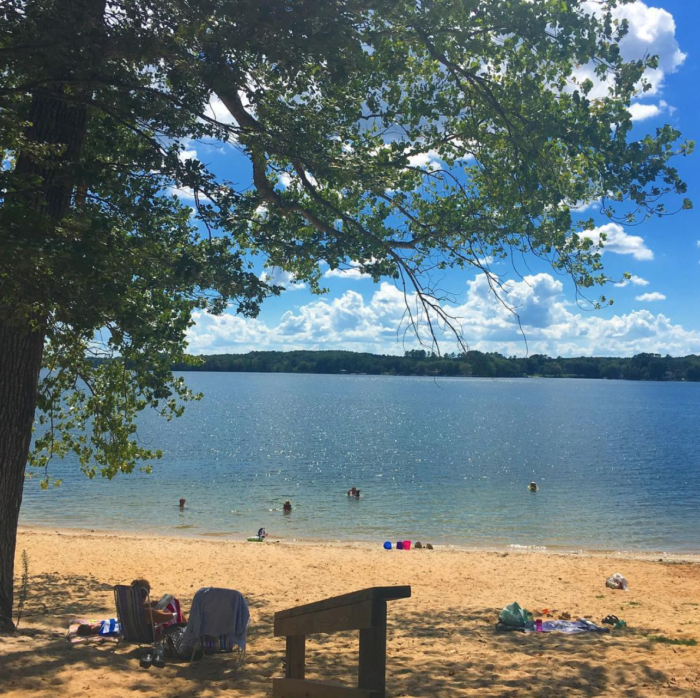 Ramsey Creek Park – A 43-acre lakeside park with a half-acre sandy beach. Beach season: Late May through Labor Day with lifeguard service 10 a.m. – 7:30 p.m.
You’ll find a number of dining options on Lake Norman — from casual bars with boat slips where it’s ok to roll in straight off the water with a wet swimsuit and a sunburn to more sophisticated settings perfect for date night or a boozy brunch. 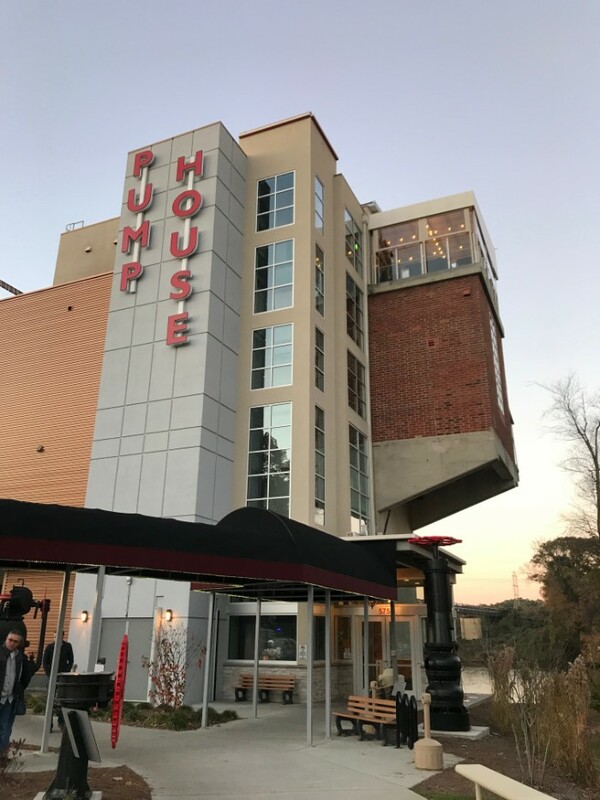 Queen’s Landing – 1459 River Highway, Mooresville NC 28117 – Featuring unique on-the-water dining experiences with dinner cruises on a luxury yacht or a Mississippi riverboat. 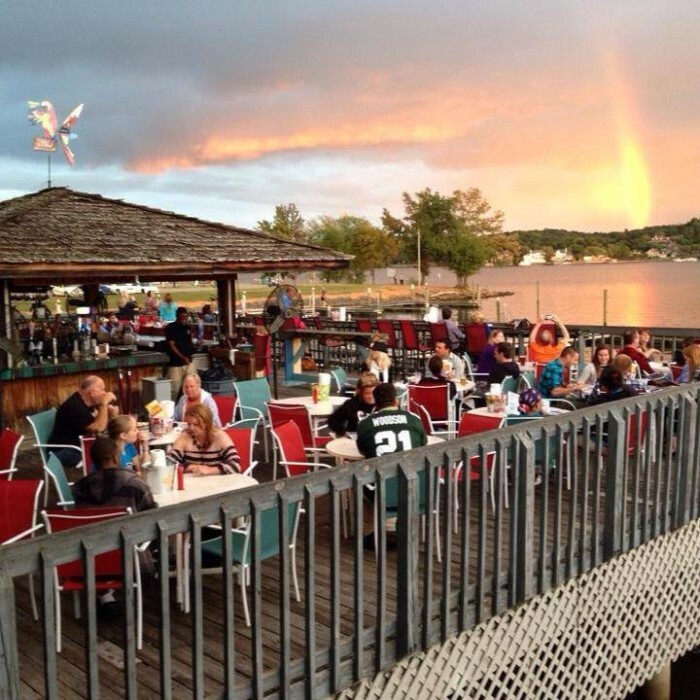 Also home to Jack’s Dockside Grill & Patio. Don’t have your own boat? No worries. 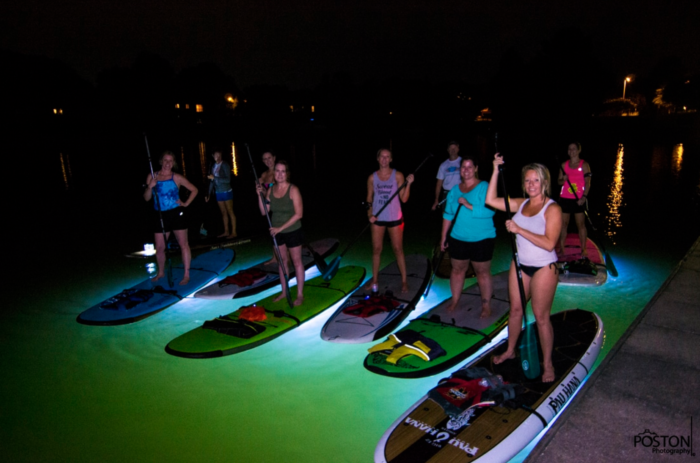 You’ll still find plenty of things to do on Lake Norman from dinner cruises on a luxury yacht to moonlight tours on illuminated stand-up paddle boards. 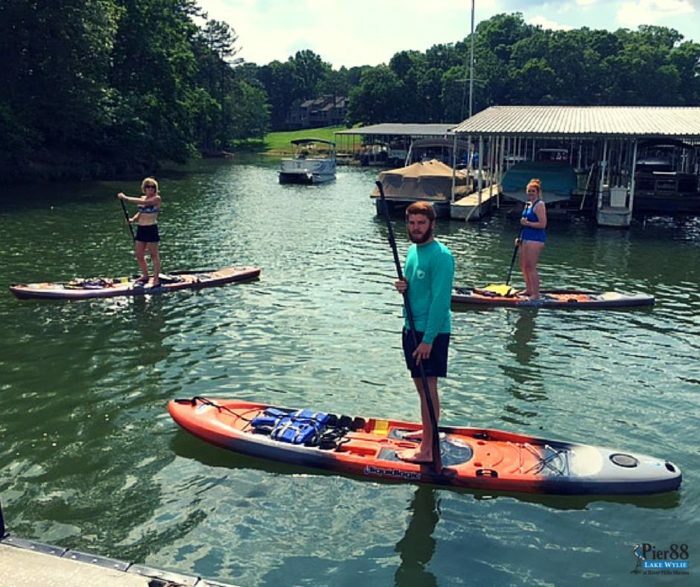 Here are x things to do on Lake Norman without owning a boat. Prefer to rent one? Here’s a directory of Lake Norman boat rental companies. 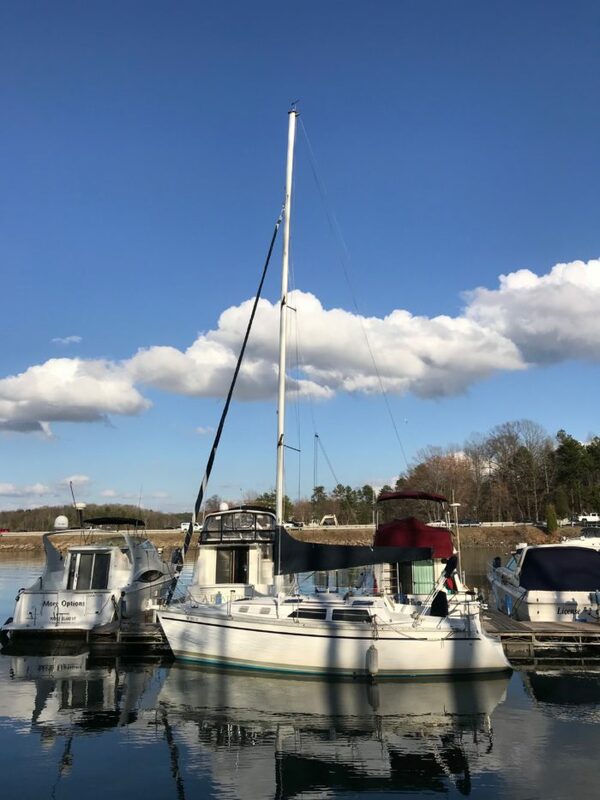 Charter your own private boat tour – Carolina Boat Rentals offers private pontoon tours ($179-$240 for 2 hours) and speedboat party cruises ($160/hour) for up to 12 passengers. Here’s a brief directory of Lake Norman boating and fishing access points with quick notes on available amenities. You can you can view Duke’s official interactive access map here. Lake Norman is in the “Catawba-Wateree NC” section. Long Island Access Area – 8628 Long Island Road, Catawba NC 28609. Boat ramp, courtesy dock, parking. Stumpy Creek Access Area – Stumpy Creek Road, Davidson NC 28117. Boat ramp, courtesy dock, parking, restrooms, picnicking. McCrary Creek Access Area – River Highway, Mooresville NC 28117. Boat ramp, cpourtesy dock, parking, restrooms. Pinnacle Access Area – River Highway, Mooresville NC 28117. Boat ramp, courtesy dock, parking, restrooms. Marshall Fishing Area – near Marshall Steam Station, Sherrills Ford NC 28673. Fishing access, parking, restrooms. Hager Creek Access Area – Mooresville NC 28117. I-77 north to exit 33. Go left on Williamson Road, left on Brawley School Road, right on McKendree Road. Boat ramp, courtesy dock, parking. Little Creek Access Area – Trails End Road, Catawba Springs NC 28037. Boat ramp, courtesy dock, parking, restrooms. Beatties Ford Access Area – Shipley Lane at Unity Road Church, Denver NC 28037. Boat ramp, courtesy dock, parking, restrooms, picnicking. Jetton Road County Park – 1900 Jetton Road, Cornelius NC 28031. Fishing access, hiking, parking, restrooms, picnicking. Managed by Mecklenburg County. Ramsey Creek Access – 18441 Nantz Road in Cornelius NC 28031. Boat ramp, fishing access, hiking, parking, swimming, restrooms, picnicking. McGuire Fishing Area – near McGuire Nuclear Station at 12700 Hagers Ferry Road, Huntersville NC 28078. Fishing access, parking, restrooms. 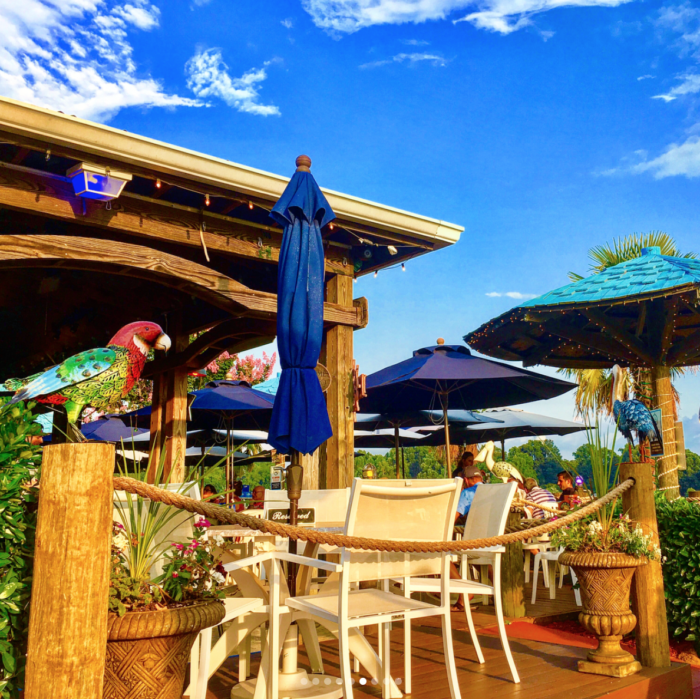 Blythe Landing – off NC 73 Highway, Huntersville NC 28078. Map to nearby Lake Norman Community Sailing at 15901 NC 73 Hwy. Boat ramp, fishing access, parking, picnicking, Dockside cafe, restrooms. Managed by Mecklenburg County. Lake Wylie was originally built in 1904 when the Catawba Power Company built the Catawba Dam and power plant. The man-made lake was later expanded to 13,443 acres (325 miles of shoreline) in 1924 and the company merged with Duke Power Company in 1927. Duke still manages or leases the lake’s access points today. The reservoir supports the Lake Wylie Hydro Station, Allen Steam Station and Catawba Nuclear Station. You can download Duke Energy’s official access map here. Lake Wylie is in the “Catawba-Wateree SC” section. There are two public swimming areas on Lake Wylie — one at Ebenezer Park in Rock Hill and one at Windjammer Park in Tega Cay. Ebenezer Park – 26-acre park and campsite a public swimming beach, which includes restrooms, concession stand, playground, boat ramps and picnic shelters. Water shoes are recommended for the rocky terrain. Beach season: Memorial Day through Labor Day with lifeguard service 11 a.m. – 6 p.m.
Windjammer Park – Park with a dock, sandy beach and picnic facilities. It’s also home to the Carolina Show Ski Team. 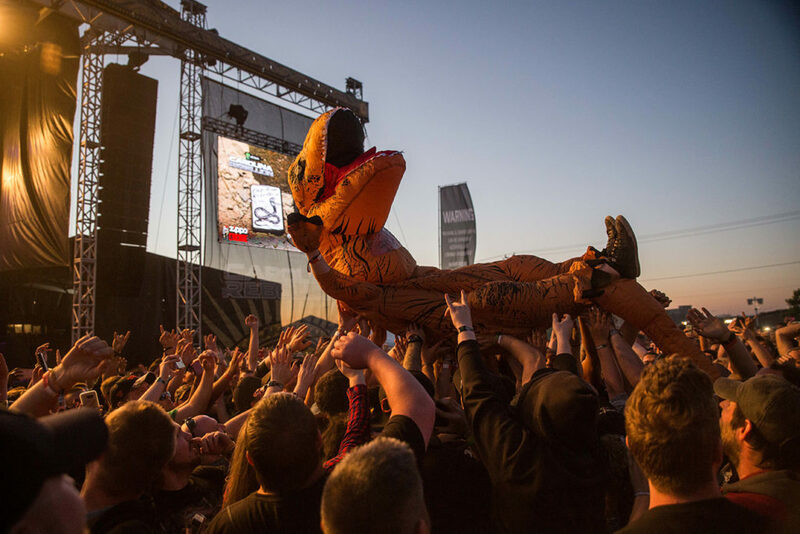 Hours: 7 a.m. – 10 p.m. Sadly, there is really only one, but I threw in a bonus one across the street (because you can see the water from their patio) and another one on the river a couple miles south of the lake’s southern dam (because it’s cool). Rent a kayak, canoe or stand-up paddle board – They’re $20 – $30 per hour at Pier 88 Yacht Club. Here’s a brief directory of Lake Norman boating and fishing access points with quick notes on available amenities. You can download Duke Energy’s official access map here. Lake Wylie is in the “Catawba-Wateree SC” section. Mountain Island Trailrace Fishing Area – Fishing access, parking, restrooms. Allen Fishing Access Area – The Hot Hole Road. Fishing access, parking, restrooms. South Point Access Area – Boat Launch Road. Boat ramp, courtesy dock, parking. Copperhead Island Boat Launch – 15200 Solider Road. Boat ramp, courtesy dock, fishing access, camping, parking, restrooms, picnicking. McDowell Nature Preserve – 15222 York Road. Fishing access, camping, parking. Managed by Mecklenburg County. Buster Boyd Access Area – next to T Bones at 3990 Charlotte Highway, Lake Wylie SC 29710. Boat ramp, courtesy dock, parking. Allison Creek Access – Viesta Road. Boat ramp, courtesy dock, fishing access, parking. Nivens Creek Landing – Nivens Landing Drive. 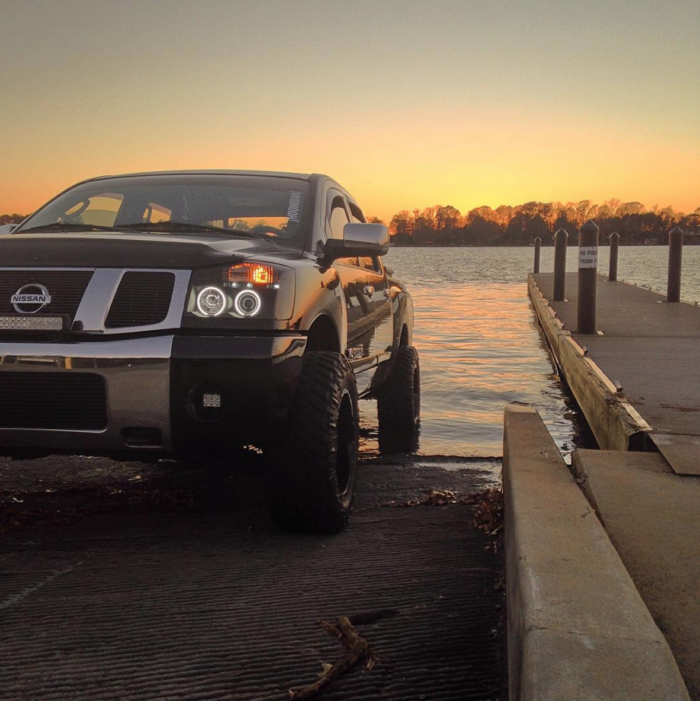 Boat ramp, courtesy dock, parking. Ebenezer Access Area – Boat ramp, courtesy dock, parking, restrooms, picnicking. Catawba River Access Fort Mill Dam – Boat ramp, fishing, parking.